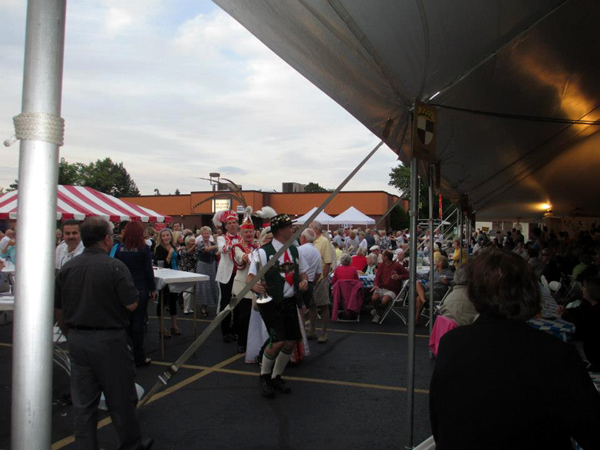 Oktoberfest in August was a welcome surprise. From the pictures on the website it was hard to tell how big the event was going to be and whether or not it was worth attending. Needless to say when I arrived at the parking lot I was in for a surprise. Local police were directing traffic to the parking lot across the street from the venue. We arrived around 6:00pm and had to park in the very back of the lot. 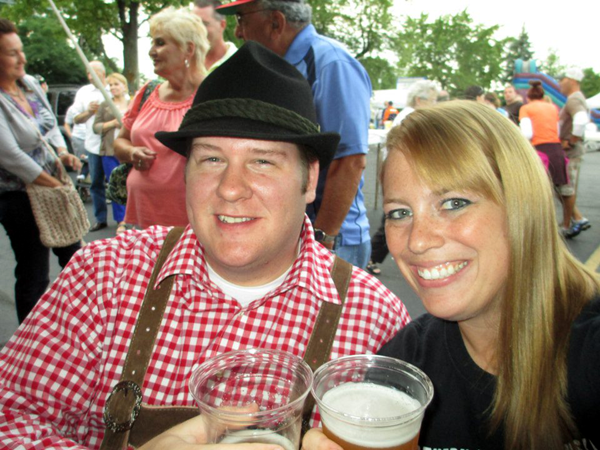 We walked from the parking lot across the street to the Oktoberfest. The local police had things very well organized and made it easy for pedestrians crossing the street. The ticket process was also very easy. Quick payment and a check of your ID and you were good to go. 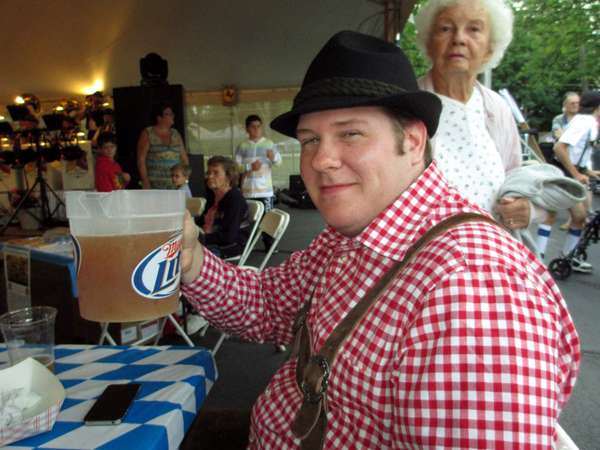 The grounds of the Oktoberfest were a lot bigger than I imagined from the pictures I saw before. They had a giant tent which was probably about 100 feet long and plenty of tables and chairs. Outside of the tent they had rows of standing tables as well as a number of smaller tents which provided food and merchandise. 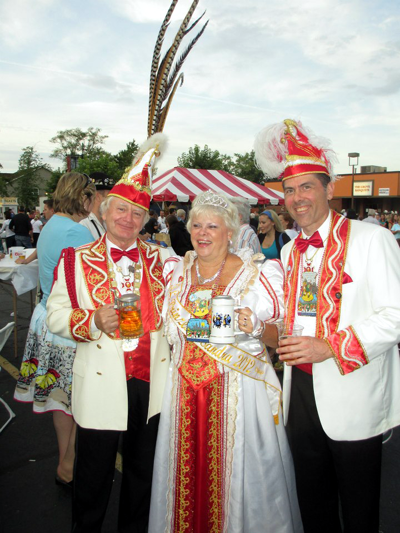 The grounds for this Oktoberfest are the Schwaben Verein which is a German club so the authenticity of the event was rather exceptional. The entertainment during the day was also very authentic. 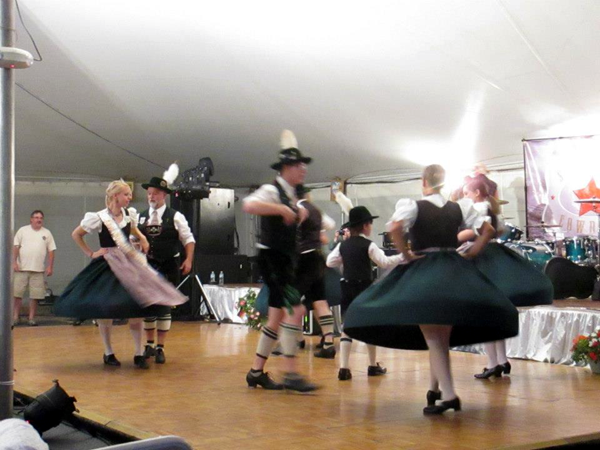 Alte Kameraden from Milwaukee to the traditional dancers, it is what you would expect from an American Oktoberfest. Unfortunately, the late evening’s entertainment was just ok. Suburban Cowboys played after the traditional band and I do have to say they put on an excellent show but it is not what I would expect from an Oktoberfest. The food and beer were also great. I had a Thüringer sandwich and pretzel for $7 and my friend had the bratwurst. We ordered a pitcher of Spaten Premium Lager (I’m assuming that this early in the season they do not have the luxury of serving an Oktoberfest beer). The pitcher ran for $14 and held roughly 3½ beers. Later in the evening we purchased plates of sauerkraut and German potato salad. We had seats right up front for the band and the dancing. It was entertaining to see the number of people who went up and danced to the different songs. One highlight was the giant snake they created by having people from the event join on at the end as they slithered through the tent to then come back up front and get everyone on the dance floor. I did not participate only because I didn’t want to lose my seat but the number of people beckoning me made me wish that I had. 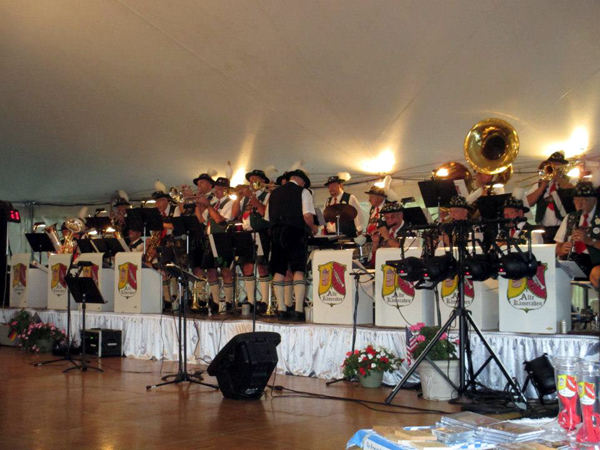 Oktoberfest in August was a welcome surprise and a great start for the 2012 Oktoberfest season. I had no idea what to expect coming in and the event was outstanding. The only negative marks I would give it would be the evening band choices but you can’t have all German all the time if you are planning on drawing a crowd. Overall, it was a great time and one I look forward to attending again. 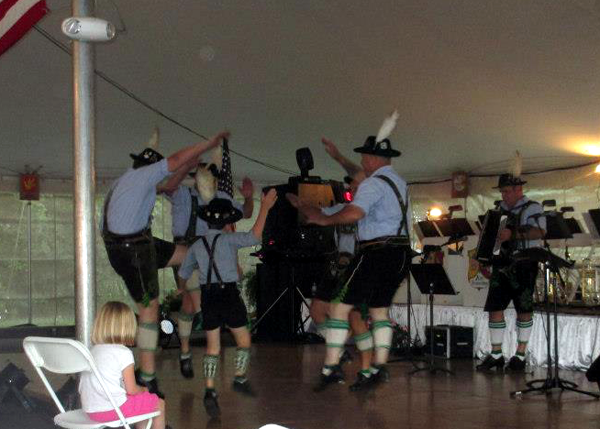 Especially since it is in August, it will almost never conflict with another Oktoberfest.